Great deals on last minute cruises from all Australian ports including Sydney, Brisbane or Melbourne or any port worldwide across 20 cruise lines, departing within the next 90 days. Availability and prices change daily so don’t delay, book your cabin online now and save. Note that any cruises that are already sold out are not listed. By booking last minute cruises with Cruise Guru, you will enjoy exclusive discounts, instant booking confirmation and no credit card fees when you pay in full online, plus no booking fees and more. >>>Scroll down for the full list. Need help? Guru’s tips: Use the Keyword Search box to filter your results; use the Price Per Day toggle button to view the daily rates on last minute cruises; sort the table by clicking each column header. Or contact us to speak with an Australian based consultant via email or phone, request a call-back (available during business hours only) or simply view all available last minute cruises below. Looking for something different? 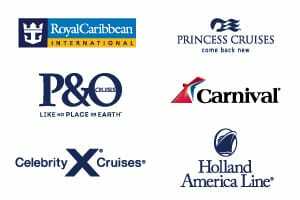 Use Cruise Finder tool to find any cruise worldwide departing through 2021 or view the full range of cruises from Sydney, cruises from Brisbane, cruises from Melbourne, cruises from Perth, cruises from Adelaide or view all cruise deals.